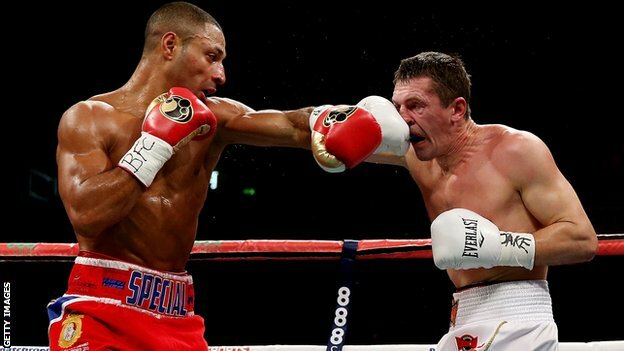 Kell Brook knocked out Vyacheslav Senchenko in the fourth round at Sheffield's Motorpoint Arena to earn a shot at the IBF welterweight title. Home fighter Brook, 27, floored his opponent in the third and the game Senchenko did well to last the round. Senchenko wobbled Brook in the fourth before the Brit ended the fight with a fine left-right combination. Brook's victory was revenge of sorts, Senchenko having battered Ricky Hatton back into retirement last November. "I believe I've made a statement here," Brook told Sky Sports. "When I hurt him I knew I could take my time. "I nearly got lackadaisical and I got caught myself, but I thought 'I'm going to get you back for that'. "I wasn't really hurt, it was just a bit of a buzz. I'm glad to have got revenge for Ricky." Devon Alexander is the IBF title-holder and he will defend his title against fellow American Shawn Porter on 30 November. Brook is mandated to meet the winner of that fight within 90 days of it taking place. Saturday's fight was the second time Brook has engaged in a world title eliminator following his defeat of Hector Saldivia last October. But ankle and foot injuries to Brook and a biceps injury to Alexander scuppered the Englishman's world title ambitions. Brook took out his frustrations on Carson Jones in July, stopping the American in a rematch, and he should finally get his shot at the big time in spring 2014. The opening exchanges between Brook and Senchenko were cagey but the Englishman got through with two chopping right hands just before the end of the second round - a sign of things to come. Brook wobbled the 36-year-old Senchenko with a right cross early in the third before flooring him with another and following up with a juddering uppercut. Brook appeared to be in complete control but Senchenko demonstrated tremendous spirit, stiffening his rival with a big right midway through the fourth. However, Senchenko was staggered by another right before Brook delivered the coup de grace, a razor-sharp left-right combination that sent Senchenko sprawling. Senchenko made it to his feet but the referee wisely decided to wave the fight off. Brook is now unbeaten in 31 professional fights, with 21 knockouts. Following Brook's latest victory, his promoter Eddie Hearn mooted future fights against British rival Amir Khan and American star Adrien Broner. Former world champion Khan was scheduled to meet Alexander on 7 December but the fight fell through, amid rumours Khan will instead remain in the gym and challenge American legend Floyd Mayweather next May. Kell Brook fulfilled his promise to deliver a knockout blow to Vyacheslav Senchenko as the Brit produced a stunning performance to win their IBF welterweight eliminator with a fourth round stoppage in Sheffield. 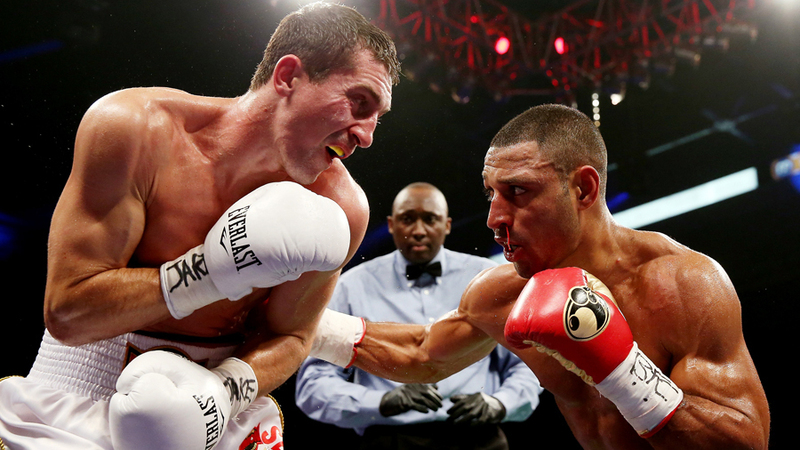 Spurred on by a year of frustration, which included three postponed bouts with champion Devon Alexander, Brook dominated the majority of proceedings in his hometown, only troubled by a single crushing right from the former world champion Senchenko. Brook landed a couple of telling punches in an otherwise cagey opening two rounds, before flooring Senchenko in the third with a tremendous right-hook to the jaw. Senchenko recovered and looked to be hanging on for dear life as Brook unloaded punch after punch on the 36-year-old, who struggled with his balance. However, Senchenko caught the undefeated Brit with a hard right to the temple and this time it was the crowd favourite who looked troubled. But, after regaining his composure, Brook finished off in devastating style with another right to his opponent's jaw - floored again, Senchenko rose back to his feet but referee Shada Murdaugh waved an end to the fight with the Ukrainian unable to keep his balance. 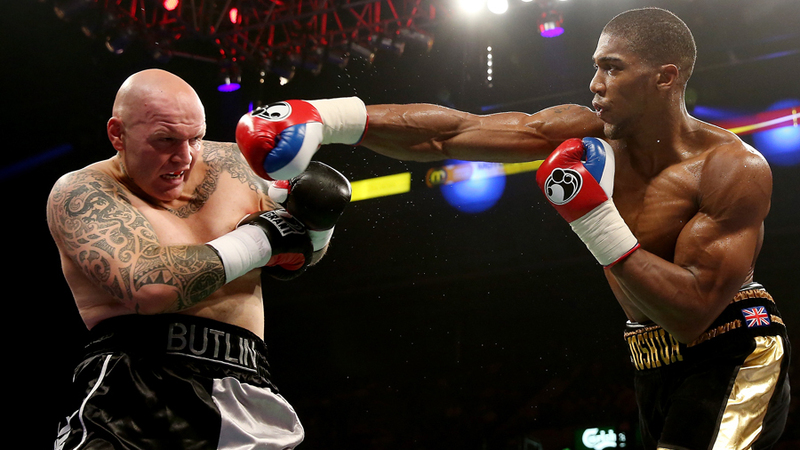 "Nothing's going to stop me from becoming a world champion," Brook told Sky Sports. "I showed tonight, I stopped a world class fighter. Nobody's going to stop me. "I want the best out there, I think I've proved tonight that I belong at the top, so bring whoever you want to bring on - I'm ready. This team is ready." "Obviously everybody wants the fight between Kell and Amir Khan, Adrien Broner's a fight we'd love to get over as well," said Brook's promoter Eddie Hearn. "We want to become champion of the world, Kell deserves to be a world champion and he's going to get there. Nothing's going to hold him back." Anthony Joshua looked every bit a future world champion in only his second fight since turning professional, knocking out Paul Butlin in the second round of their heavyweight fight following another destructive performance. The Olympic super-heavyweight champion had Butlin wobbling with two thunderous rights in the opening round, before flooring the 37-year-old in the second with a brilliant left-right combo. Butlin recovered, with a bloodied right eye to show for his bravery, before his camp threw in the towel just 50 seconds into the second round to put an end to his punishment. "I'm still improving, I'm still cracking on but it's always good to get a win because now I can get ready for November 14," Joshua told Sky Sports. "That's the key right now, to relax." Earlier on Saturday, Sheffield middleweight Adam Etches successfully retained his IBF youth title with a first round victory over the previously unbeaten Alexandre Mendes. Etches landed two huge right hands to stun the Brazilian towards the end of the opening round, before Mendes' camp called an end to the fight when throwing in the towel with two seconds remaining - leaving their fighter in tearful anger. In stark contrast, Brian Rose cried tears of joy when he was announced the victor in his light-middleweight bout with Javier Maciel. In an epic battle that went the distance, Rose produced a spirited performance of determination and power to claim a split decision win and a shot at the WBO world title. Callum Smith extended his unbeaten record with a sixth round knockout of Ruben Acosta to claim the WBC international super-middleweight title.